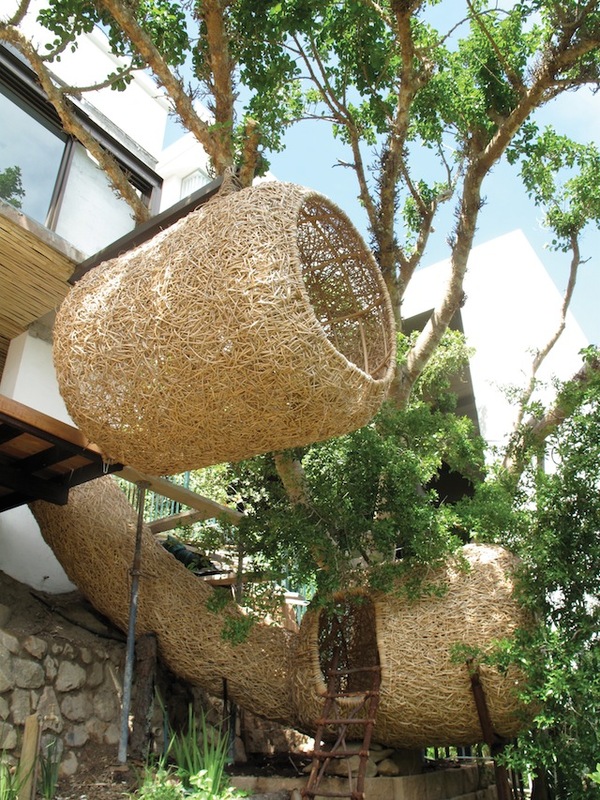 Inspired by bird nests or vanishing building techniques, architecture based on natural materials is an expanding focus in both sculpture garden and urban landscape. 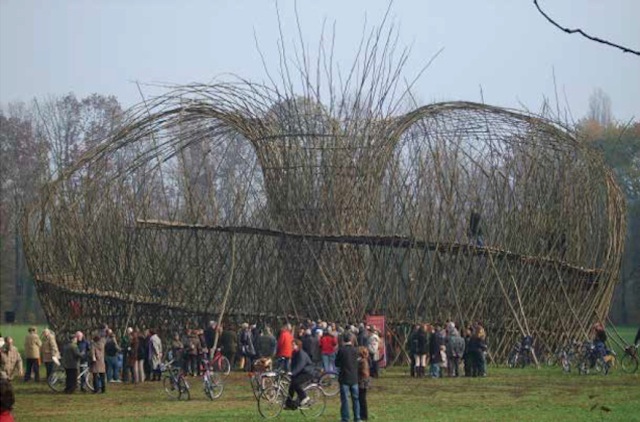 The 2007 Natural Architecture book compiled some of the practitioners of bamboo building and structural weaving, and this month Natural Architecture Now: New Projects from Outside the Boundaries of Design by Francesca Tatarella continues the dialogue. While they exist, however, they can engage with our relationships with nature. 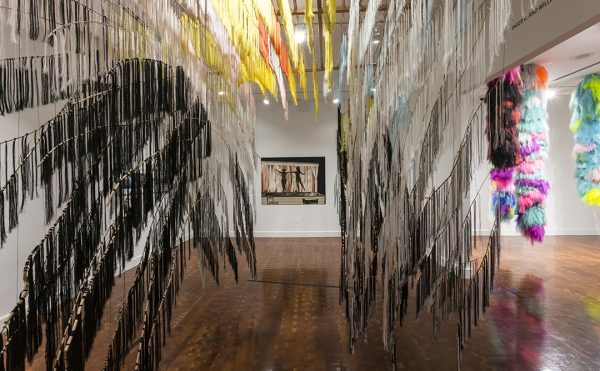 Concrete and glass buildings have little to do with geography, yet when Alfio Bonanno uses branches washed up on Lake Simcoe’s shores in southern Ontario, there’s an immediate resonance of place. 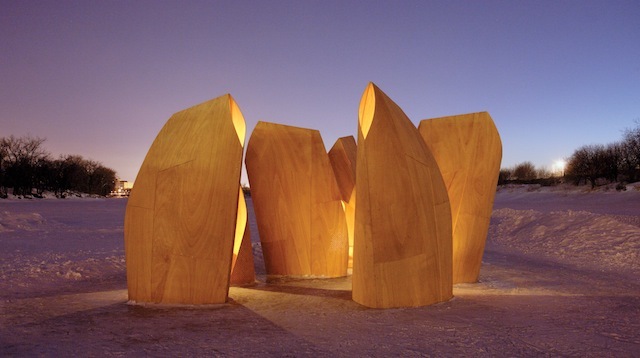 The book includes some projects designed to interact with nature, such as Ants of the Prairie’s “Bat Tower” as part of Joyce Hwang’s Pest Architecture series to give a home to the much maligned creatures, and Yolanda Gutiérrez‘s “Sanctuary (Santuario)” of curves of woven reeds designed to encourage birds to nest near Mexico City. 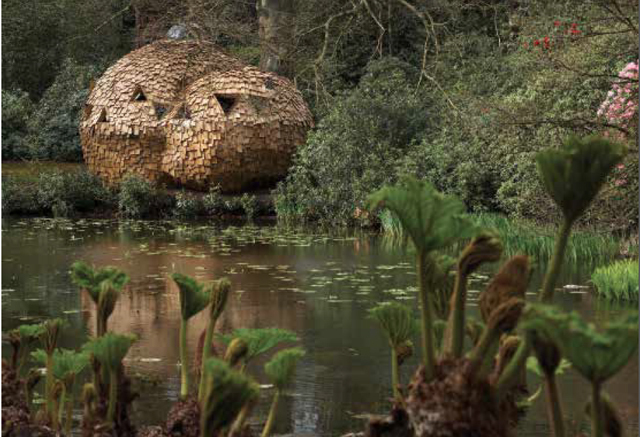 Porky Hefer Design, meanwhile, takes inspiration right from natural designs, particularly the nests of weaver birds which are replicated on a large scale as structures in South Africa. 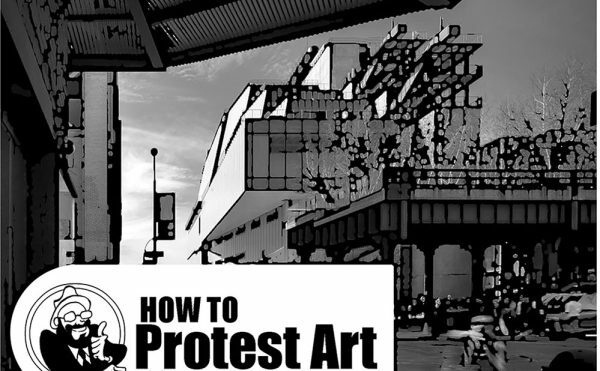 The book does have a sort of overarching reach that links the projects only by their materials, with Heather and Ivan Morison‘s post-apocalyptic survivalist structures contrasted with Doug and Mike Starn‘s prominent bamboo towers, such as on the roof of the Metropolitan Museum of Art in 2010. 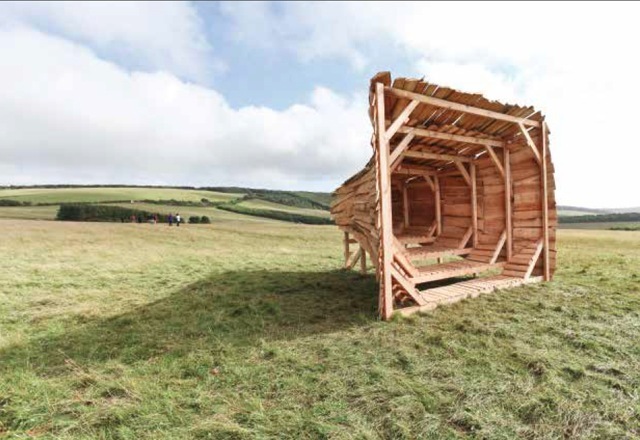 It also would be fascinating to have more details on just how the different structures were built, as the complications of weaving an entire shelter can only be appreciated if you’ve spent time mangling a basket. 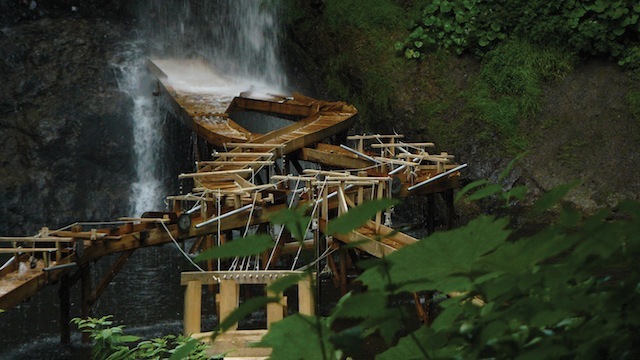 Yet it’s worth looking closely at how these building techniques that rely on natural resources and few tools can redefine our architecture in a way that’s both cost-effective — such as Al Borde Arquitectos‘ Ecuador school constructed for $200 — and sustainable. 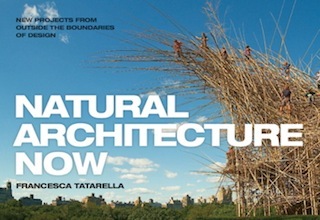 Natural Architecture Now: New Projects from Outside the Boundaries of Design by Francesca Tatarella is available this month from Princeton Architectural Press.